Develop custom CMS, back end administration and back end data management system for upgraded website. Swellnet has grown from a small one-man operation sending out surf forecast faxes to Adelaide surf shops in 1999, to one of the largest surf webcam / report / forecast websites in the world. 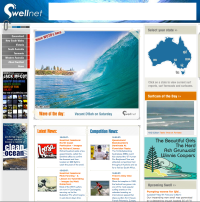 In 2002 Swellnet’s phase one expansion offered surf forecasts covering the whole of Australia, through the first version of its website. The phase 2 expansion in 2005 included a major overhaul of the website to include surf forecasts and reports covering over 150 locations around the country, and also to make way for a national network of beach webcams. The company took on a dozen reporters and two new forecasters, filing updates from 4 timezones. The need for a detailed and complex backend management system was flagged early on in the redevelopment process. Develop a solution for entering Bike SA events online. Bike SA is the peak cycling organisation in South Australia, lobbying Government for cyclist safety improvements and promoting all facets of cycling. Their cause is largely funded through several events held throughout the year, some attracting thousands of entries. In 2004 the decision was made to migrate this snail-mail / paper based system to an online one. Participants would be able to fill out personal details and select options relating to the event, including meals, transport, and associated social activities. Payment through BPAY, phone (credit card) and cheque could be made in the final stage of registration. Smartsite is the trading name of a web consultancy based in Adelaide, South Australia. 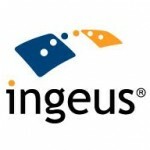 We specialise in finding web-based solutions to business problems, by customising easily sourced open source software. When that software can’t be customised enough to do what you want, we write our own modules to fill any gaps in functionality. We’ve extensively customised WordPress, OSCommerce, phpBB and Mahara, integrating special features or enhancing requirements to meet a specific purpose. When modifying a turnkey solution like WordPress doesn’t quite cut it, we can develop bespoke solutions from scratch. We can manage that process from impossibly crazy idea, through to go-live and post-launch bug tracking.